STARTING IN 2018 I HAVE CUT WAY BACK ON PRESENTATIONS/SPEAKING ENGAGEMENTS (SEE PRESENTATION SCHEDULE BELOW). I have removed many of the programs and am focusing on the topics listed below if there is an interest. I would also still create a custom presentation for you if there is mutual interest and I could see that I could use it again for another group. One month in Germany (1/2 inBaden-Württemberg, 1/2 in North Rhine-Westphalia and Lower Saxony) - Above: Gengenbach's town square. Photo credit: Jon Satrum. Presentation Type: Travelogue/Life Long Learning. On this third trip to Germany we spent little over a month with 1/2 in Baden-Württemberg for the genealogy research and 1/2 in North Rhine-Westphalia living on a farm with a German family to help a member improve her English skills. The 2 parts were far more connected than we had planned as we also follow the history of the Roman Empire invading Germania and the ultimate defeat and annihilation an entire Roman army (composed of the 17th, 18th and 19th legions, plus three cavalry detachments and six cohorts of auxiliaries), totaling about 20,000 men. We ended our journey at the site of the battle, Kalkriese hill. Originally a "Life Long Learning" presentation focusing on the history of this part of Germany as well as travel aspects, this can be done as a travel presentation; although there is almost "too much" content. For travel presentations, a better choice may be either half of this journey, choosing either "Germany - Walking through Gengenbach, wandering along the Black Forest", or "Germany - "North Rhine Westphalia & Lower Saxony" (or both as a two part series). 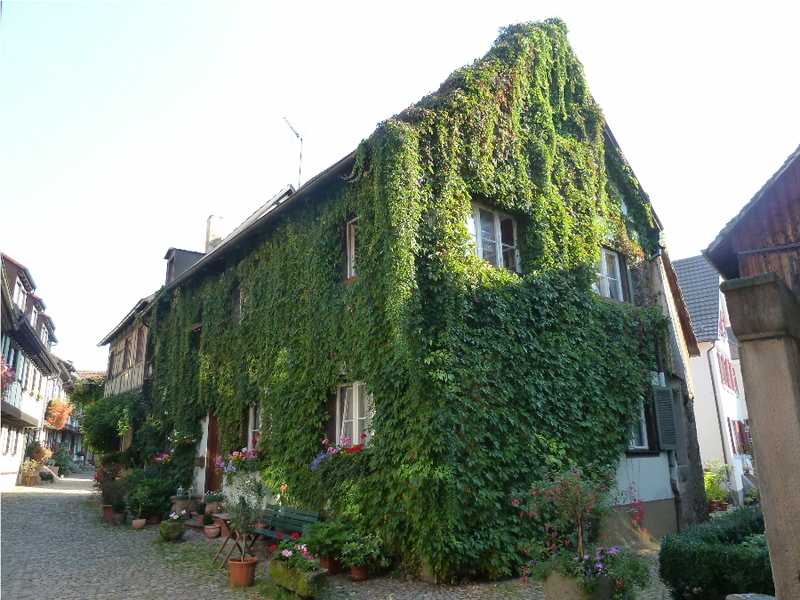 Not far from Strasbourg, France, Gengenbach, Germany in Baden-Württemberg was our home base for the entire time. Each day we would travel into the Germany countryside along and in the Black Forest, by train and auto searching for connections to my wife's German heritage. Good fortune found helpful relatives, the house where her great grandfather was born and the church where he was baptized. 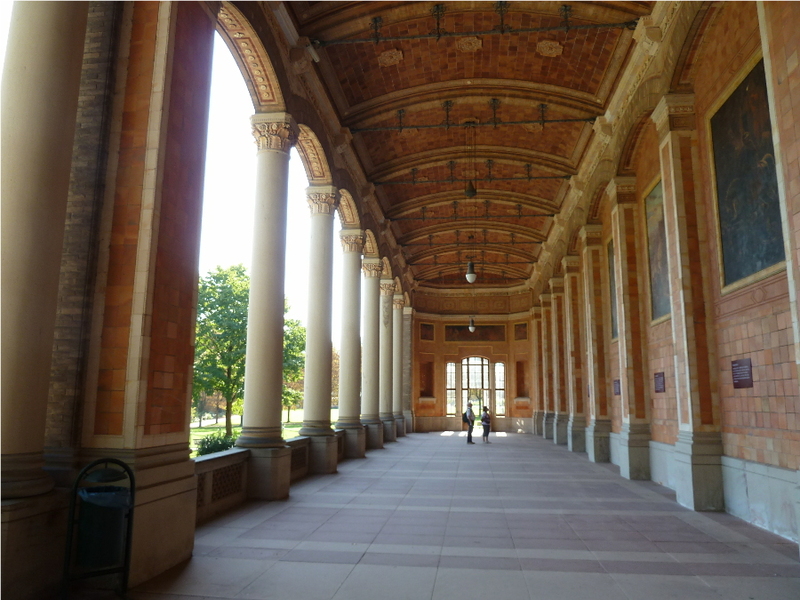 One relative took time away from his job to accompany us on several days, including a personal tour of Baden Baden. A personal driving trip through the Black Forest with another relative was also a highlight. Sometimes traveling 300KMH (180MPH) and taking three different trains with limited time to connect, we arrive in Hüllhorst in North Rhine-Westphalia. Our host family meets us at a nearby station and takes us to their home. While we were unsure how we would actually help with our English language task, the process was quite simple. Each day we journeyed into the German countryside experiencing everyday life (museums, garden centers, used car dealerships, grocery stores, shopping malls, cemeteries, the local city hall, visiting friends of our host family - the list goes on). At each event we discussed how we would describe or talk about where we were using American English. As our time progressed, our host's English improved as did our German - we benefited as well. The connections between the two parts of the trip continue where we have lunch with a man who we met on the first part of our trip in Baden-Württemberg who takes us to a tobacco museum which displayed early American cigar store indians, american cigarettes, and pipe stone pipes from Pipestone, Minnesota. Two weeks in Germany based in the 13th century walled village of Gengenbach in Baden-Württemberg - Above: Engelgasse - Gengenbach. Photo credit: Jon Satrum. This presentation is essentially the first half of my "Germany - Gengenbach to Kalkriese" presentation allowing us to have greater time to focus on the 13th century walled village of Gengenbach and multiple day trips over a two week period in and around the Black Forest. The foundation of this trip was genealogy, traveling to Baden-Württemberg in seach of ancestors, family history, and living relatives.. Gengenbach, Germany, was our home base for the entire time. Even staying the same guest hotel for two weeks, I felt I didn't have enough time to explore every corner of Gengenbach and would love to return for further exploration. Each day we would travel into the Germany countryside along and in the Black Forest, by train and auto searching for connections to my wife's German heritage. Good fortune found helpful relatives, the house where her great grandfather was born and the church where he was baptized. One relative took time away from his job to accompany us on several days, including a personal tour of Baden Baden. A personal driving trip through the Black Forest with another relative was also a highlight. This was more than a trip visiting court houses and dusty old archives. We were able to have greater appreciation of where we were as relatives spent many days with us, in some cases acting as our personal local tourist guides. One relative, a teacher and amateur historian gaves us greater insight into the history of the area, from Roman times, mulltiple rulers, battles and key historical events. One highlight was a visit to the Schwarzwalder Freilichtermuseum (Black Forest Open-Air Museum), a collection of old farmhouses from different locations in the Black Forest. The most typical homes were Black Forest Eindachof (one-roof farm buildings) dating back to the 1600's. An amalgam of 13 different trips to this beautiful island representing over a year staying on the island. Those who have stopped on the island from a cruise ship or spent a week at a resort may have had a different experience, than one more like living there. - Above: Maui's north shore. Photo credit: Jon Satrum. Get in the mood: As people take their seats they are welcomed by a 20 minute lead in slideshow of the presenter’s flower photographs from around the island. Music of local Hawaiian musicians plays in the background (OPTIONAL). In addition to other visits to Maui and its neighboring Hawaiian Islands starting over 30 years ago, the presenter stayed on the island of Maui for part of 11 consecutive winters and brings a new experience even to those who have visited the island before. This presentation is "refreshed" after each visit. A "normal" travel presentation often simply recounts the traveler's sequential experience as their journey progressed. This presentation is an amalgam of 12 different extended stays on Maui and by its nature focuses more on varied experiences of the island, each in greater detail. Staying on Maui part of each of the last 10 years, the presenter provides unique insight into the island helping you experience more than just being a tourist. It includes parts of the island the "resort focused" or shorter term visitor would often miss. Windsurfing at Ho’okipa, lunch at the Maui Culinary Academy or on a blanket next to the monkey pod tree by the Historic Ka’ahumanu Church, the tsunami zone, malasadas (love the chocolate filled ones), a multi-cultural society, the best burger on the island, less well known places to whale watch or have a great meal, the crazy “cave lady”, you don’t have to pay almost $8 for a box of cereal, “Maui Cruisers”, Chinese New Year, morning sounds that welcome you to the start of your day, and more. While this is a travelogue, the presenter also touches on geography, geolology, history and culture. We learn about the mismatch between incomes and the cost of living on the island, the history of sugar on the island and the people who came to work on the sugar plantations, and additional “non-touristy” aspects of the island. EACH OF MY PRESENTATIONS CAN BE MODIFIED TO MATCH YOUR AUDIENCE: For this presentation, some groups wanted, and I have included much more geography, geology, culture, and history of Maui as part of their presentation. HURTIGRUTEN®, "the coastal steamer", "the mail boat","the most beautiful voyage". 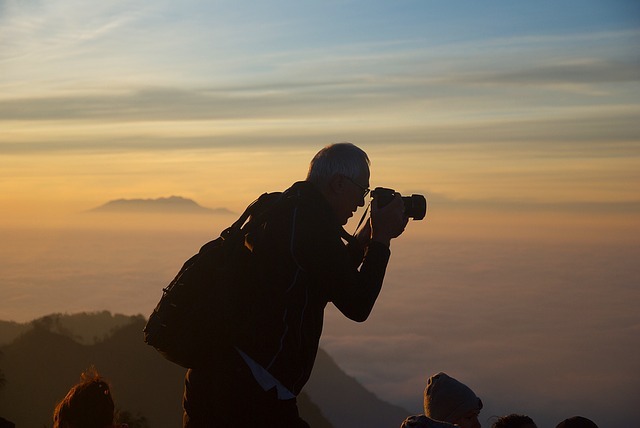 Many words and phrases have been used to describe one of the unique travel experiences in the world. - Few have taken this journey. - Above: Entering a narrow fjord to reach "Svartisen" (the black glacier). Photo credit: Jon Satrum. Of 100% Norwegian heritage, the presenter has travelled to Norway multiple times to experience this beautiful country. This journey is sailing on the Hurtigruten ship Nord Norge northbound from Bergen to Kirkenes near the Russian border stopping in 33 ports day and night with sidetrips into the Norwegian mountains and fjords for a greater "Norwegian experience". We cross the arctic circle and experience the "midnight sun" at its peak. Includes pictures taken at midnight with no flash. Our journey starts with a few extra days in Bergen and then we sail northbound for one week from Bergen to Kirkenes. As the journey progresses we sail through some of the most beautiful fjords in the world and take side excursions take us through snow covered mountains, to inland glaciers and the northern most point in Europe and to meet the Sami (no longer referred to as "Laplanders"). From Bergen our first port is the Art Nouveau city of Ålesund before we continue into Geirangerfjord, considered by some the most beautiful fjord in the world. Geirangerfjord, and Bryggen (Bergen’s historic wharf area), are UNESCO World Heritage sites. The ship leaves us behind as we travel through the mountains on the winding mountain road of Trollstigen (the troll’s ladder) ultimately rejoining the ship further up the coast. In Trondheim we have extra time to leave the ship and walk to along the river Nid to Nidaros cathedral stopping at my favorite coffee shop. From Trondheim we sail further north until we cross the Arctic Circle starting to fully experience the “midnight sun”. Before we arrive in the scenic Lofoten islands we leave the ship again and board a smaller ship able to take us deeper into narrow fjords to reach Svartisen (the black glacier) - (see picture to the left). Ultimately Nord Norge takes us to the northern most point of mainland Europe, we stop at the North Cape and get a chance to meet a Sami family. The trip was part of one month in Norway traveling not only on Hurtigruten®, but staying with relatives and conducting genealogy/family history research back to the 1600s. 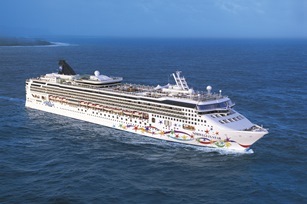 Includes some of the most scenic ocean travel in the world and more than just pretty pictures of Norway's coast. People also learn a little of the history of shipping along Norway's coast from the earliest steam ships up to today's modern fleet. This presentation has drawn as many as 126 people for a single session. The presenter is of 100% Norwegian heritage, speaks some conversational Norwegian, and has taken multiple trips to Norway including on Hurtigruten. "Hurtigruten" - translated, this Norwegian word means "the fast route", the description originally applied to improved ship traffic along the coast of Norway. - Above: The "Richard With" entering a narrow fjord. Photo credit: Hurtigruten ASA®.. Presentation Type: Life Long Learning. With over 15,000 miles of coastline, 50,000 islands, unmapped & uncharted waters, and few lighthouses; no private companies would take on the treacherous task of sailing these dangerous waters. And yet there were no railroads, few roads and a country that needed to supply its population The earliest steamships starting in 1838 would only sail in summer and then only in the summer from Trondheim to Tromsø along part of the uncharted coast. Those interested primarily in sea travel along Norway's coast might enjoy Sailing along Norway's coast (above). Today, a fleet of ships constantly re-supplies the country of Norway sailing up and down the coast, day and night, 365 days each year stopping in 33 ports. In earlier times that wasn’t possible. From the earliest steamships in 1838 sailing only in the summer from Trondheim to Tromsø, to the hopes in 1857 that private companies would take over this function, no one wanted to sail in winter.hat changed in 1892 when Captain Richard With offered to take on the task although many thought he was crazy. This presentation follows the progression from the early steamers and Captain Richard With, to today's modern fleet of ships and includes changes in technology, the impact of WWI and WWII and the experience of traveling on a northbound journey along the coast of Norway on one of today's ships, the Nord Norge. It was 1962 before the last of the steamships were taken out of service and 1983 before the Norwegians trusted air service enough to stop transporting mail by ship. The ships continue to be referred to as the “mail boat” or “coastal steamers” even though those functions ended decades ago. We also tie the past to today, and we sail on Hurtigruten® for one week during the “midnight sun” northbound from Bergen to Kirkenes just a few miles from the Russian border leaving the ship to explore. Side excursions take us to into beautiful fjords, the cathedral in Trondheim, and the heights of surrounding mountains still covered in snow in June. A two week European river journey - Belgium, The Netherlands, Germany and Austria. - Above: May 30: Moon Rising - night time on the Rhine. Photo credit: Jon Satrum.. Status: Partially completed.entation Type: Travelogue. Based on 2 weeks sailing on the Rhine, Main, and Danube from Amsterdam travelling through The Netherlands, Germany, and finally to Austria and our final destination - Vienna. While this particular trip did not include any time in Vienna, I stayed there for most of a week in another year and could include Vienna as part of this presentation. Includes several days in Brussels and Bruges prior to the start of the river journey. We took many side trips into the European countryside with visits to various cities and villages - The Netherlands, making chocolate in Belgium, visiting WWI battlefields, the Cologne Cathedral, Heidelberg . . . . .the list goes on. We visit a German family for coffee and stop in Nuremberg to enter the Palace of Justine where the military tribunals were held in 1945-46 after WWII. From a modern perspective we meet American soldiers who had been stationed in Germany and stayed on after they married German women. And yes, CASTLES EVERYWHERE along the Rhine! And yet one of the most fantastic experiences was simply being on this ship and gently moving through the European country side. And we are not just floating down a river to a final destination. As we sail, we rise upwards through a series of locks higher and higher until we cross the continental divide of Europe. We took many side trips into the European countryside with visits to different cities and villiages. A two week European river journey - Belgium, The Netherlands, Germany,France, and Switzerland. - Above: Returning by rail along Lake Lucerne. Photo credit: Jon Satrum..
Based on two weeks sailing on the Rhine and Mosel rivers from Antwerp ultimately arriving in Basel, Switzerland. We start with a tour of Antwerp and sail gently through the countryside. We experience the Netherlands, visit castles and beer gardens in Germany, tour Strasbourg and have supper at a restaurant along a canal as traditional Alsatian performers entertain us. Extra visits included Luxembourg, and time in the Alsace region of France complete with visit to a stork refuge in Hunawir. We end our river journey in Basel, Switzerland, and continue to Lucerne. Keeping the sea out - new and old: We visit the Delta Works (one of the seven wonders of the modern world) where the islands are connected and protected by a series of dams, dikes, and bridge and a massive pumping facility and Kinderdijk where windmills from the 1700s are still actively used. Our journey takes us through Nijmegen, The Netherlands oldest city. In Germany we tour Bonn, Cologne (the cathedral walking distance from where the ship is moored), Baden-Baden, Trier, and more with visits to Castles and beer gardens. We leave the ship to travel by motorcoach for a day trip to Luxemberg. The time in France includes Strasbourg, traveling along the Route de Vin, the Alsatian Wine Road, and a trip to Hunawihr and a stork sanctuary. This journey included several days in Lucerne, Switzerland with local journeys by water and rail. A lake cruise on Lake Lucerne was a highlight. We travelled by rail through Swiss mountain valleys to a mountain summit looking out on the Jungfrau, one of the main summits in the Bernese alps. Our journey takes to the World Heritage site of Røros visited by 1 million people each year, picturesque and historic sites including Sticklestad where King Olaf Haraldsson (later St. Olaf) was killed in battle in 1030, and Trondheim's Nidarosdomen (cathedral) where his body resides today. - Above: Fisherman's cabin along a fjord. Photo credit: Jon Satrum. As usual, I have a large number of photographs from this area of Norway (which includes 100% of my Norwegian heritage). Concentrates on the North and South Trøndelag counties ("fylker"). AREAS OF FOCUS TARGETED: Røros, Selbu, Frøsta, Sverresborg open air folk museum (one of the largest in Norway), Ringve music museum, Nazi prison, visit to a folk high school (folkehøgskole) where students are free to choose any area of study for one year, Trondheim, the river Nid, Austrått fort where the triple gun turret assembly taken from the German battleship Gneisenau was actually installed IN THE MOUNTAIN with a commanding view and control of Trondheim fjord (range 40,000 meters). Presentation Type: History -WWII. Duration: 30 minutes (Optional 20 minutes). THE PRESENTATION: We discuss the volunteers from Norway, the military and support staff in the Shetland Isalnds, preparation for the missions and some of the missions themselves. Those on the boats were mostly Norwegian fisherman who had the ability to sail in the worst weather, at the worst time of year (winter), in the dark, to avoid being spotted by the German defenses. The missions were mainly to supply the Norwegian resistance movement and rescue those who needed to escape from the Nazis. 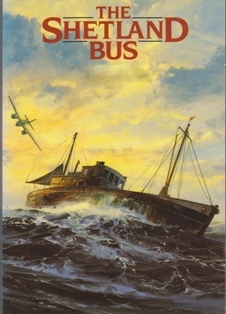 These were difficult, dangerous times and of the brave Norwegian volunteers sailing the ships of “The Shetland Bus”, not all returned from their missions. Presentation Type: Historical Figures, men, women and their achievements. Duration: 60 minutes. First person to: 1. reach the South Pole, 2. traverse the Northwest Passage, 3. traverse the Northeast passage, 4. fly across the Arctic Ocean, and 5. first (VERIFIED) along with Umberto Nobile, to reach the North Pole. 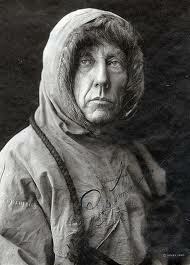 2011 was the 100th anniversary of Amundsen reaching the South Pole in December of 1911. This presentation discusses the journey of Amundsen's life and his polar explorations. Amundsen was successful while Scott died on his return journey from the South Pole. We discuss the differences in their two approaches to reach the South Pole and return. While this presentation can be shortened, I am considering the possibility of creating a "Amundsen and Scott - Race to the The End" presentation to focus only on the South Pole expeditions of the two men. The first part of the presentation covers polar exploration, major polar explorers and Roald Amundsen's life leading up to his South Pole Expedition. When you study the various explorers you find the many of them were interconnected. They shared techniques, equipment, and in some cases individuals who had been on other explorations. NOTE: This presentation is designed for an approximate 60+ minute timeframe! Those needing a noticeably shorter presentation might consider my "mini talk" on Amundsen (see below). The "mini talks" are designed to last the 2o+ minutes many organizations need as part of a larger meeting or program. Harsh conditions - Above: Many expeditions required the ship to be frozen into arctic ice for the winter. Under construction - target - Summer 2015 (waiting on completion of Otto Sverdrup "mini talk"). This presentation combines the three Norwegian Polar Explorer "mini talks" into a single 60 minute presentation". Norwegian polar explorers Otto Sverdrup, Fridjof Nansen and Roald Amundsen are all connected. Not only with each other but with other polar explorers of the era. Not well known outside of Norway, Sverdrup was one of Norway's foremost explorers and many believe that in regard to polar exploration, he was of equal status to Fridtjov Nansen. Nansens ship Fram is part of Sverdrup's story. He became the Captain of the Fram on Nansen's attempt to reach the North Pole. Sverdrup helped design and rig the Fram. Fridtjof Nansen stands out not just for his expeditions but for the breadth of his accomplishments. Nansen was not just an explorer. He was a scientist, diplomat, humanitarian and Nobel Peace Prize laureate for his work on behalf of the displaced people of WWI. In his youth a champion skier and ice skater. 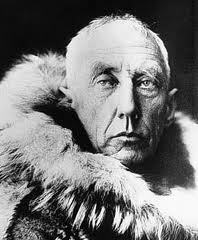 Best remembered for being the first to reach the South Pole, Amundsen achieved a great number of "firsts". Four of the major polar explorations of the 1900s were done by him. "I may say that this is the greatest factor—the way in which the expedition is equipped—the way in which every difficulty is foreseen, and precautions taken for meeting or avoiding it. Victory awaits him who has everything in order — luck, people call it. Defeat is certain for him who has neglected to take the necessary precautions in time; this is called bad luck". — from The South Pole, by Roald Amundsen. Presentation Type: Historical Figures, men, women and their achievements. Duration: 20-30 minutes. Under construction - Partially completed. The three Norwegian Polar Explorer "mini talks" are designed to be approximately 20 minutes long so all three can be combined into a single one hour presentations "Norwegian Polar Explorers". Norwegian polar explorers Otto Sverdrup, Fridjof Nansen and Roald Amundsen are all connected. Not well known outside of Norway, Sverdrup was one of Norway's foremost explorers and many believe of equal status to Nansen. Nansen's ship "Fram" used by Amundsen on his south pole expedition, was used on Nansen's first polar exploration in 1892 with Sverdrup as the first skipper. Sverdrup was an inspector as "Fram" was built. Sverdrup's polar skills started with working on his uncle's ships at the age of 17. By the age of 23 he was the Captain of a steamship. In 1888 Sverdrup's first polar exploration was with Fridtjof Nansen across the Greenland ice cap. Nansens ship Fram comes into play next as Sverdrup became the Captain of the Fram on Nansen's attempt to reach the North Pole. Sverdrup had helped design and rig the Fram. Many regarded the expedition as doomed. Nobody had so far actually entered the arctic ice. Most scientists predicted that the ice would crush the ship and never return. Starting in 1893, it was 1896 before Sverdrup, the crew and the Fram were free from the ice and able to return to Norway. Among Sverdrup's significant achievements was a four year expedition that accomplished the first exploration and mapping of the south and west coasts of Ellesmere Island, and the discovery and naming of Axel Heiberg Island, the Ringnes Islands, the Sverdrup Isalnds and many other locations. A total of 260,000 square kilometers was charted - more than any other polar exploration. Many of Sverdrup's maps were used until the 1950s. Norwegian polar explorers Otto Sverdrup, Fridjof Nansen and Roald Amundsen are all connected. Fridtjof Nansen stands out not just for his expeditions, but for the breadth of his accomplishments. Nansen was not just an explorer, he was a scientist, diplomat, humanitarian and Nobel Peace Prize laureate for his work on behalf of the displaced people of WWI. In his youth a champion skier and ice skater, Nansen held the 1 mile skating world record. 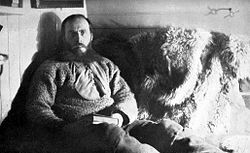 His techniques of polar travel and his innovations in equipment and clothing influenced a generation of subsequent Arctic and Antarctic expeditions. Nansen rejected the complex organization and heavy manpower of previous Arctic expeditions and instead favored a small party using equipment designed from scratch to control weight and size. After a 5 month research journey while studying zoology at the Royal Frederick University Nansen developed the idea that the Greenland icecap might be explored, or even crossed. Nansen crossed Greenland in 1888. From 1893-1896 Nansen's North Pole expedition left him stranded as his ship drifted away from him and he set out as part of a two man team to ski to the pole pulling their supplies behind them. Trapped on the ice for over a year, Nansen survived. Nansen's journeys were not just exploration but scientific as well. He spends 20 years focusing on science and writing about his explorations and scientific studies. Some of his discoveries are still used today. Nansen worked for Norway's independence and influenced the selection of the new King. 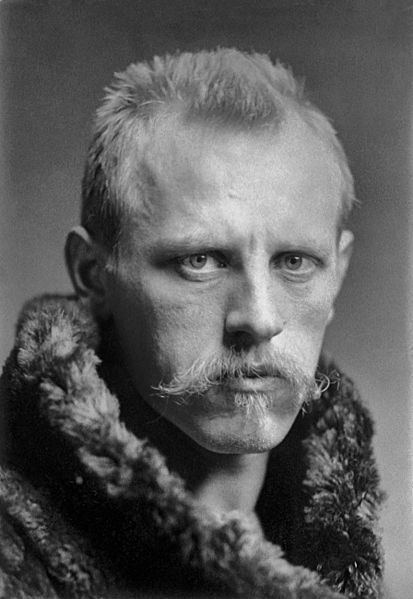 Some Norwegians wanted Nansen to become Prime Minister. During this period he becomes known around the world for his humanitarian efforts which helped millions. He helped to establish the principle of international responsibility for refugees receiving honors from many countries including the Nobel Peace Prize. Nansen is regarded as both a true humanitarian and a hero. Norwegian polar explorers Otto Sverdrup, Fridjof Nansen and Roald Amundsen are all connected. Amundsen benefitted from the prior work and innovation of the other two. "If only you knew how splendid it is up there, that's where I want to die." "The last of the Vikings" was the description given by some for Roald Amundsen and it was reported the Amundsen liked that description of him. Born to a family of ship builders and Captains. Even in his youth he prepared for a life at sea . . . and for polar explorations.If only you knew how splendid it is up there, that's where I want to die." "The last of the Vikings" was the description given by some for Roald Amundsen and it was reported the Amundsen liked that description of him. Born to a family of ship builders and Captains. Even in his youth he prepared for a life at sea . . . and for polar explorations. Ship Belgica(1897-1899): Amundsen was a member of the Belgian Antarctic Expedition (1897–99) as first mate. The Belgica, frozen in the ice, this expedition was the first expedition to winter in Antarctica. Ship Gjøa(1903-1906): Amundsen successfully sails Canada's Northwest Passage. Ship Fram (Nansen's ship) (1910-1912): Amundsen becomes the first to reach the South Pole. 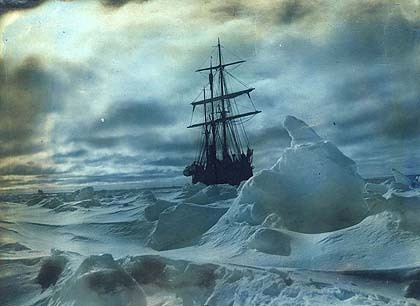 Ship Maud (1918-1920): Amundsen sails the Northeast Passage. The airship Norge (1925): Amundsen and the crew become the first VERIFIED crew to reach the North Pole. Presentation Type: Historical Figures, men, women and their achievements. Duration: 30 minutes. From a Norwegian immigrant struggling to get by, Thea Foss goes on to found Foss Maritime the largest tugboat company in the western United States. In researching Thea Foss, I even found a reference which contended that Thea was not actually used as the basis for the "Tugboat Annie" character. Even, if true, it would not diminish Thea's life and accomplishments. This presentation may be a good fit as one of your programs for Women's History Month. One woman, an idea (or happenstance that becomes an idea), perseverance, and vision that ultimately becomes one of the larger maritime companies in the world. (2018) A COMPLETE CHANGE TO MY STRATEGY FOR THIS PRESENTATION!!! I spent a fair amount of time learning about Thea Foss to be able to create a presentation about her. While researching I discovered that two women in Washington state had created a wonderful video about Thea's life. Their creation was more complete than anything I could have done. The logical thing to do was to stop working on my project and incorporate their video into my presentation. I gained their permission to use the video in presentations to Sons of Norway groups. For "Women's history month" a I have created a "lead in" about the role of women in Norwegian-American organizations and those who have done significant things related to Norwegian culture and history. A PRESENTATION FOR YOUR GROUP: For groups other than Sons of Norway, since I do not charge any presentation fees for this particular presentation, I believe I should be able to get permission to include the video i in a presentation to your group. People living in the Pacific Northwest, and especially Tacoma, know the name "Thea Foss". Most associate the name with physical things (Thea Foss Waterway, Thea's Landing apartments, The "Thea Foss" - a WWII patrol vessel, or the "Thea Foss" - a luxury motor yacht); but not with the actual woman for whom all these things are named. 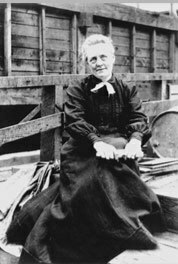 Born in 1857, Norwegian immigrant Thea Foss, like all new immigrants, struggled along with her new husband to make a living in her new country. Part of her contribution was to buy, fix, paint, and re-sell a used rowboat to help earn money. From that green and white rowboat, Thea goes on to found Foss Maritime the largest tugboat company in the western United States. The green and white colors she painted on that first rowboat are still used on the company’s powerful state of the art tugs, now be seen in waters throughout the world. Presentation Type: Historical Figures, men, women and their achievements. Duration: 60 minutes (Optional 20 minutes, 30 minutes). Under construction - target - ON HOLD! The man, the king, the warrier, the saint. Sagas are part of Scandinavian history and they recorded what had been passed along orally before. Much of what we learn of Olaf comes from these sagas and many of them were written 100-200 years after an event had occurred. 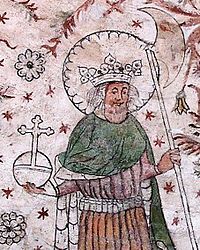 His journey takes him from being "Olaf the fat", to "Olav den hellige" (Olaf the holy). He is praised for his battles and his miracles. Olaf Haraldsson along with Olaf Tryggvasson who founded Trondheim and the first Christian church in Norway, are often viewed as having led Norway's conversion to Christianity. I have a personal connection to many of the presentations I give, and this is true to some degree for this one. For this particular presentation, I have been to the battlefield of Sticklestad where Olaf was slain and to other locations associated with him. Not far from the battlefield, lying in a fjord, is Steinvikholmen (castle fortress of the last Catholic Archbishop in Norway) where St. Olaf's body lay until being moved to Nidarosdomen (Nidaros Cathedral in Trondheim). One cousin lives on the shore about 600 yards away and another with access to Steinvikholmen's keys has taken me to most parts of the castle. Steinvikholmen looks out onto the island of my mother's family back to the 1600's. I have also been to Nidarosdomen (Nidaros Cathedral) where St. Olav's body rests today, on more than one occasion. I return to Norway in 2014 to revisit some of these same areas and to attend a special service at Nidarosdomen to which the Royal Family has been invited. Presentation Type: Historical Events. Duration: 30-50 minutes. Approximately 200 hours was spent in research, creation of a paper on this topic, and presentation of that paper. The original presentation of "1881- Norwegians in Hawaii - Conflict in Plantation Society" was at an international conference with a theme of the immigrant's multicultural experience in their new land. Part one: The need for labor, recruiting workers and their journey to Hawaii . Conditions in Hawaii - Conditions in Norway: The population of native Hawaiians reduced by western diseases and the expansion of sugar plantation created an increasing need for labor. 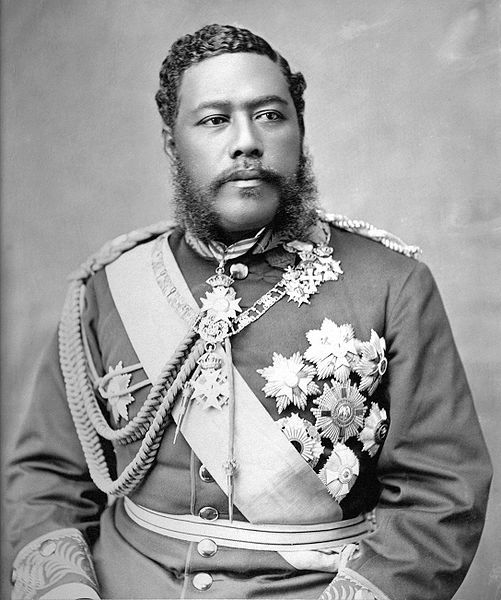 In the 1880's, Hawaiian King David Kalākaua approved recruiting of European plantation workers, commissioning a Norwegian sea Captain to bring back 400 Scandinavians. We focus on their journey. Part two: Arriving on Maui, the experience was not what they expected. Conflict: The contracts written in Norwegian did not match the contracts written in English. We learn about their working conditions and how the strong willed, independent Norwegians would not accept the treatment previous workers had not fought against. One set of descriptions used by the locals to describe the Norwegians gives you a sense of how they were viewed by the local population: “Lacked the ability to submit with passive obedience”, “Would not put up with conditions of which they disapproved”, and “Too individualistic”. Public sentiment about the condition of the Norwegians grew more negative in Norway and the United States with Kingdoms of Sweden and Norway finally sending an investigator to Hawai’i. Originally a presentation of an academic paper at an international conference. The paper titled "1881 - Norwegians in Hawaii - Conflict in Plantation Society" was for the Norwegian American Historical Association - Norway for their first conference held outside the country of Norway in 19 years. Presented along with talks by professors, authors, lecturers from major universities in the U.S. and Norway, it was the result of approximately 200 hours of research that led to the creation of, and presentation of the paper discussing this unique part of Norwegian history. The impetus for the research and the paper: I have traveled to the Hawaiian Islands for over 25 years and stay on the island of Maui frequently. Of 100% Norwegian heritage (my parents’ families emigrated from the Trøndelag region of Norway in the 1860’s and 1870’s [75% - Skatval /25% - Hegra]). I belong to multiple historical society, genealogy, and Norwegian heritage organizations in the U.S. and Norway and am on the Board of Directors of a 450 member Norwegian Heritage organization. The intersection of Norwegian and Hawaiian history generated my interest in learning more about this part of Norwegian history. On February 14, 2006, I and 19 Norwegians from Drammen, Norway, joined others standing at McGregor point overlooking Maalaea harbor on the island of Maui. We were there for the traditional Hawaiian blessing and re-dedication of a "bautastein" (memorial stone) celebrating the arrival of Norwegians in Hawaii 125 years earlier in 1881. The complete paper and a two page overview are available for those with more interest. "1881- Norwegians in Hawaii - Conflict in Plantation Society"- a paper for the Norwegian-American Historical Association in Norway (NAHA - Norway) Norwegian-American Seminar XI presented June 14-17, 2011, Decorah, Iowa. This was presented to NAHA-Norge as they held their first annual conference outside the country of Norway in 19 years and as part of Luther College's 150 year anniversary. Associated 2 page overview of "1881 - Norwegians in Hawaii"
This 2 page overview is provided for those who were not able to obtain a copy during a presentation. The web site presents 10 entries at a time and you can move through the information using "Neste" (next), and "Siste" (previous). Search "Søk" is also available. Since these pages will be removed when this functionality and information is at the new site, my solution was to do a copy and paste of each of the groups of 10 people into a Microsoft Word document. When contacted the Hawaii State Archives provided the following information. Folder: Immigration – Norwegians – Bark “Beta” February 18, 1881 – List of Arrivals at Maui. Please use the above citation in your references and credits to Hawaii State Archives. A digital copy of the passenger is not available on Hawaii State Archives website. You may order a digital scan of the above cited passenger list at 600 ppi, $10.00 US Dollars per page. A pdf of this 12 page document will cost $3.00 US Dollars. Advance payment in full [US Dollars only] is required to process a duplicating or scan order. Go to this web page for Hawaii State Archives order forms and instructions to place a duplicating or scan order. Please provide document identification numbers when placing your order for digital scans of the images. STARTING IN 2018 I HAVE CUT WAY BACK ON PRESENTATIONS/SPEAKING ENGAGEMENTS, SPENDING MY TIME DOING LOTS OF OTHER FUN THINGS IN MY LIFE. PLEASE CONTACT ME IF YOU ARE INTERESTED IN ANY OF MY TOPICS. I STILL FIT THEM IN WHEN YOUR SCHEDULE AND MINE CORRESPOND. Normally, my presentations are in the Midwest. I am now restricting them to the Chicagoland area from May-October and in the Fort Myers, Florida, area from December-March. 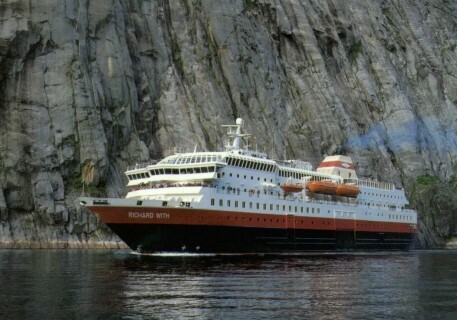 "Norway - Hurtigruten® -The history of Norwegian coastal shipping". <Details Above> To fit into this group's available time, this presentation has been reformatted into an approximately 30 minute presentation. Photo credit: Hurtigruten ASA®. **You are welcome to join the group for the meeting and presentation but acess to the gated community, Plantation at Somerset, must be approved in advance. Please reserve by calling Maxine Batrawi at 239-405-4026 who will add your name to the gate list for the security people. This group usually has a potluck meal prior to the presentation and asks for a $5 donation when you meet the greeter at the presentation room. BYOB if you choose. “North Sea and North Atlantic: Visiting Norway; Iceland; The Shetland & Faroe Islands, and a bit of Sweden and Denmark”. My fee for a presentation is very straight forward. 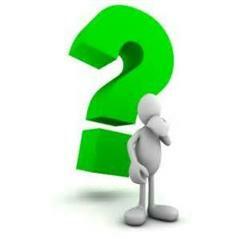 I only ask that you pay me what you pay any other presenter of similar background and skill. Many organizations pay $100-150 for one of my 50 minute presentations. NOT EVERYONE HAS A PRESENTATION SPEAKER BUDGET. Again my fee is what ever is normal for your organization. If that is a cup of coffee and a piece of pie, that is my fee. A little help with travel expenses is appreciated. I LOSE MONEY DOING MY PRESENTATIONS. I enjoy doing them and I hope people walk away having learned more about the topic I present. Those organizations with presentation budgets help me create more presentations and to present to more groups, many of whom are small clubs, senior centers, etc. PROFESSIONAL: Business professional retired from a Fortune 1000 information technology company, holding a wide variety of regional and corporate technical and management positions including in the corporation's U.S. education group. Personally taught classes and gave presentations to small and medium sized groups in various parts of the U.S. in venues as small as a meeting room and as large as an auditorium. Managed a corporate curriculum development and course delivery operation. This group was responsible for curriculum development of courses offered to that corporation's U.S. customers. Also responsible for curriculum development and course delivery for 1,100 technical individuals in the U.S. Some of my group's materials were also used outside the U.S. primarily in Europe and Japan. Able to speak on a wide range of topics, the majority of the presentations, articles, and speeches given over the last 10 years have been focused on International and North American travel. Focus areas include the country of Norway, Norwegian heritage, and Norwegian culture; Hawaii, specifically the island of Maui having been on the island over one year, as well as talks on Historical Figures. EDUCATION: Minnesota State University - Mankato, Minnesota, BA - Business Administration/Economics. LANGUAGES: A native English speaker, I speak about 2,500 words of conversational Norwegian and know some basic German; acquiring each language after the age of 60. Of 100% Norwegian Heritage, I am recording my father and mother's family histories from immigration journeys from sailing ships in the 1800's to establishing their lives in America. I have traveled to Norway on multiple occasions as part of this process. PUBLISHED ARTICLES: Since 2000, I have published dozens of short articles for a variety of organizations focused on Norwegian culture, genealogy and immigration. My 2009 article “Å vokse opp som Norsk in Amerika” (Growing up Norwegian in America), written in Norwegian, was published in Norway in Årbok Nr. XIX of Skatval Historielag. "Austria - 3 weeks of independent travel"
"Hurtigruten" - Norwegian Coastal Voyages"
"Crusing the rivers of Europe"
PHOTOGRAPHY : Photographs on my TRAVEL pages are my own work or that of my wife. Poor conditions may yield poor photographs and in my presentations I may use occasional photographs other than my own to better depict a location or event. During my presentations I try to point out photographs that are not my own work and if possible give credit to the source. PRESENTATIONS / ARTICLES: I give travel and "life long learning" presentations as well as presentations about historical figures to various groups and organizations . I have also written papers and articles published in newsletters and books, including one published in Norway. One of my papers was presented at an international conference. GREATER DEPTH: My travel presentations are generally more focused and in greater detail than your typical travel presentation. Examples include a month in Germany, traveling to England 6 years in a row, 3 weeks of independent travel in Austria and then in only 5 locations, the equivalent of staying more than a year on Maui where I return each year. This type of travel gives me a different insight than that of a person who took a bus tour of Europe and then relates that experience during a presentation.